This second floor walk- up condo has limited beach views. 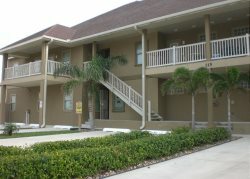 It is a 2 bedroom, 2 bath condo that will sleep 6 people. The complex has a pool and jacuzzi and is north on the island away from the crowds. No Smoking, No Pets, Spring Breakers Welcome !